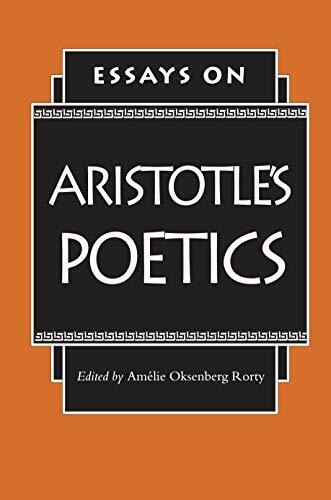 This collection of essays locates Aristotle's analysis of tragedy in its larger philosophical context. Philosophers, classicists, and literary critics connect the Poetics to Taristoltle's psychology and history, ethics an politics. There are discussions of plot and the unity of action, character and fictional necessity, catharsis, pity and fear, and aesthetic pleasure. 1. Essays on Aristotle ' s Poetics. Edited by Amelie Oksenberg Rorty.